After I had just finished my evening prayers, I had a most beautiful vision of the Nativity of the Holy Family. In the darkness of the night a most brilliant light, and radiance surrounded the stable, which was a large open cave. The silvery brightness from the light of the star was so intense that it was as though the star from the heavens had descended and shone directly above the cave. Everything was so bright. Sitting in the middle of the stable was Mary the Mother of Baby Jesus, holding Baby Jesus on her lap. She was dressed in a most beautiful red tunic with a white mantilla that extended to her elbows. I could see how her hair was beautifully twisted around her head. Baby Jesus was all in white. I could see St Joseph kneeling beside them. Multitudes of shining bright angels surrounded them, praising and adoring the newly born King. 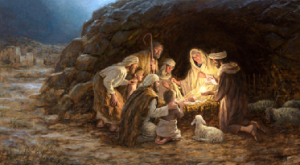 Around the stable, facing Blessed Mother and Baby Jesus, I could also see many shepherds, kneeling in adoration. The holy shepherds were wearing garments of a combination of white and brown shades. In front of the stable, I could see many lambs and sheep. The little lambs came up close to Baby Jesus. They were sleeping peacefully and gently resting their little heads on top of each other, as though they were resting their heads on the softest pillow. Their wool was so long and beautiful. On the other side, behind blessed Mother, I could see lying on the ground an ox and also a donkey. This donkey was the one that carried Blessed Mother and accompanied St Joseph to Bethlehem. As it was so cold in the stable, the animals surrounded the Holy Family to keep them warm. Everything looked so beautiful and colourful and real. The Blessed Mother, most holy, was very joyful and smiling. This scene took my breath away. I was praising the newly born King and the Holy Family of Bethlehem. I was making a sandwich to take to a friend when suddenly our Lord Jesus was present. He was watching me as I was selecting the sandwich fillings and carefully started placing them on the slices of bread. I had lettuce, tomato, some cheese, and some ham and I was thinking, how am I going to layer these fillings without them falling out all over the place? So I thought, maybe I should put fewer fillings in the sandwich. Our Lord is teaching us not to be stingy with what we give to others, and in what we do for others. Our Lord rewards and watches everything we do. It was late in the evening, and I had just finished praying. In addition to my usual evening prayers, I also repeated the special prayers for the Hour of Grace for the World, which I had prayed today between noon and one o’clock. This devotion requires that during this hour we begin by praying Psalm 51, three times followed by other prayers of choice. Many divine and bodily graces are received when praying this devotion on the Feast of the Immaculate Conception. Suddenly, I could hear many footsteps in the house. At first, I thought it was my grandson, as he would sometimes go to the kitchen for an evening snack. I called out to him, but he did not answer. So I assumed that he was asleep. Worried and anxious, I immediately sat up in bed and listened to determine from which direction the footsteps were coming. They came very close, coming from just outside my bedroom, in the hallway. I then became frightened and started to panic. I began to wonder, who are all those people walking around in my house? Suddenly, a most brilliant golden light swept through my entire room. I watched in amazement as my room instantly became full of people and angels. They were all very cheerful. I had received a heavenly visitation. Amongst the visitors, I could see our Lord Jesus, Blessed Mother, St Joseph, St Padre Pio, St Therese of the Child Jesus and many other saints and angels. I would say there were about twenty saints, and many, many angels. Blessed Mother looked so beautiful, dressed in pure white, as today was the Feast of the Immaculate Conception. Her spouse St Joseph was quite tall with short hair. He was clothed in a blue-brown coloured garment on which was woven a most decorative golden embroidery, signifying royalty. Slightly nervous, I asked the visitors, “Did you come to get me?” I was sure that this was the reason they were in my room. Our Lord then picked up the Holy Bible, which was lying on my bedside table, and started turning the pages to read some passages. In the meantime, St Padre Pio, who is a very powerful Saint in Heaven, came up close to me. He was so happy. He was wearing a beautiful white and gold chasuble over his brown habit. Everybody in the room was happily talking. I felt immense joy at having so many special Heavenly guests. Our Lord Jesus, holding the open Bible turned to me and showed me what He would like me to read. He started to read a passage from Holy Scripture which was about Himself, while He was here on Earth preaching to people. He specifically said that I should read from St Peter, St Matthew, St Luke, and St John. Our Lord said, “You will learn a lot from these readings, they are good teachings for this time.” I was like a little student next to our Lord. 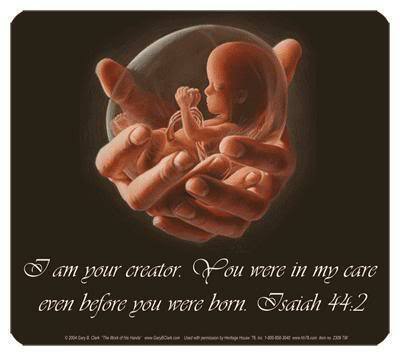 Thank you, my Lord, Mother Mary, St Joseph, and all the angels and saints, for coming to visit me, little nothing. Today I was invited to attend a prayer group. 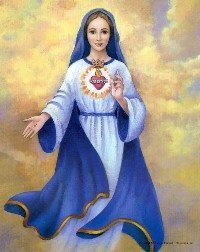 During the Rosary Prayer, Blessed Mother and Lord Jesus both kept appearing to me. 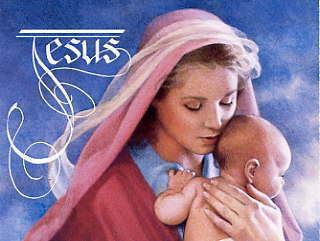 Thank You, Lord Jesus and Blessed Mother for all the graces received today. This morning, while I was praying, our Lord Jesus appeared. Two angels, who looked identical, accompanied Him. They were both tall and wearing long, silvery tunics. Our Lord was listening to what the angels were telling me. He was standing beside me, and then three times gently caressed my cheek. I was so peaceful and happy, but at the same time sad in my heart for the Lord Jesus that He has to come to the world, to beg people to believe in Him and to love Him. How many graces we lose, for not accepting Him and for not believing in Him?